Food is the most portable form of history. What we eat, how we cook our food and even the ingredients we use are all influenced by our experiences and our story. 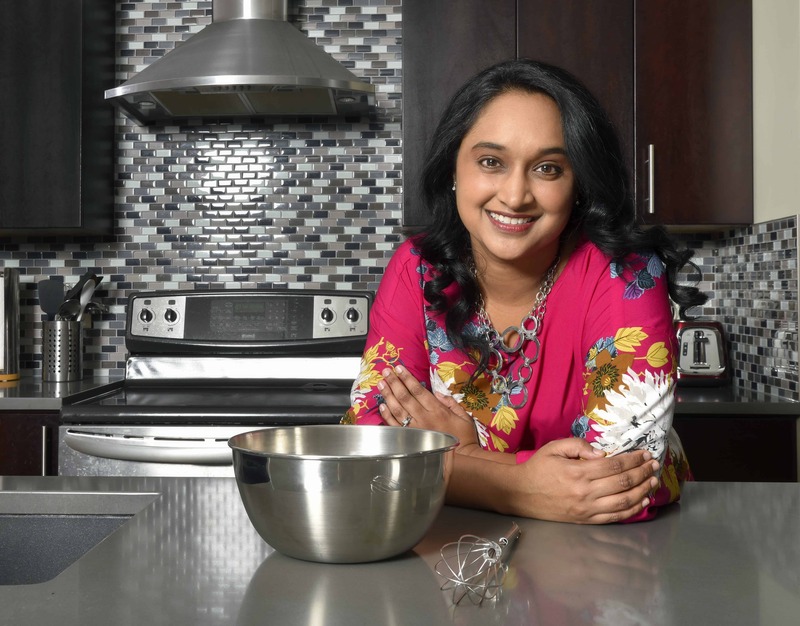 Meet Regina’s Vandana Jain, finalist of CBC Television’s The Great Canadian Baking Show who has united people over their common love of food. Our love for her food, in particular. Vandana Jain is an MBA and CFO of Saskatchewan Science Centre. She is also a star baker and food blogger at VandanaBakes.com. Early this year you may have spotted her battling for top spot on CBC Television’s The Great Canadian Baking Show. Vandana amazed the judges and the audience with her baking skills and flair for using multicultural flavour and ingredients. I remember her gorgeous pistachio and rose cake – one word, fabulous! You can see what I am talking about here. Recently I launched an initiative #MyFoodMemory to encourage people to share their favourite food memories. As part of that, I’m delighted to introduce to you Vandana’s story. Vandana: I was born and raised on the Canadian prairies and Regina is now home. I’ve been married to my husband, Vikash for 7 years and we have a 4-year old son, Niam. My parents came to Canada in the 70’s from India, so even though I grew up in Canada, I had a great deal of East Indian influence from my family during my childhood. I think baking is my way to unwind and do something opposite from the analytical work that I enjoy doing during the day at the Saskatchewan Science Centre. What has your journey been like getting where you are? Vandana: I’ve always enjoyed cooking and baking and experimenting in the kitchen growing up but never thought it would bring me to The Great Canadian Baking Show and food blogging. It’s a true passion for me so it never feels like work. I’m a fusion baker at heart and love creating traditional dishes with international flavours. I think life is so interesting, sometimes the life path you are on doesn’t make sense until much later on. 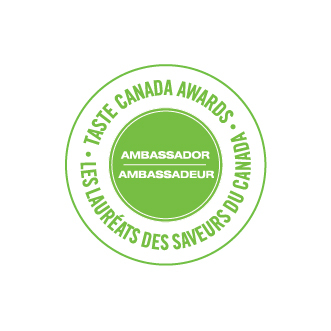 All those days helping mom cook and bake are now coming in handy! What’s the story behind cooking? Is there a story? Vandana: I think cooking and baking is like life…your dishes have their own character and become who you are. It combines your heritage, your likes/dislikes and your experiences. My inspiration for cooking is my mom. My parents came from India and brought their culinary cultural knowledge with them which I always loved learning about. Growing up here in Canada I also loved traditional western food. So I think for me that’s why I love fusion the most. It feels like it’s me. Vandana: We really love a variety of tastes. It could be anything from Indian food, Mexican, Chinese and good old- fashioned pizza nights. Our lives are so fast-paced that sometimes you just throw something together quickly. But I do love when I have time to really experiment with tastes and flavours and see what the reaction is. Luckily I’ve never had any problem finding taste testers in our home. Is there a particular dish that you make for your family that takes you back to your childhood? Vandana: I know its probably not what you expect considering my passion for international flavours, but I have to say Cinnamon Buns. This brings me back to waking up on a weekend and my mom making the best cinnamon buns. I remember actually smelling them before my eyes opened and then running downstairs. The feeling was amazing. Even now there is nothing I love more on a weekend morning than a cinnamon bun with a big dollop of butter and a hot cup of chai! My son loves them just as much. It’s a beautiful thing to see how food memories can be passed on and can become such a big part of raising a child. If anything, when it comes to parenting I really want my son to grow up loving being in the kitchen and passing that love o to future generations in our family. 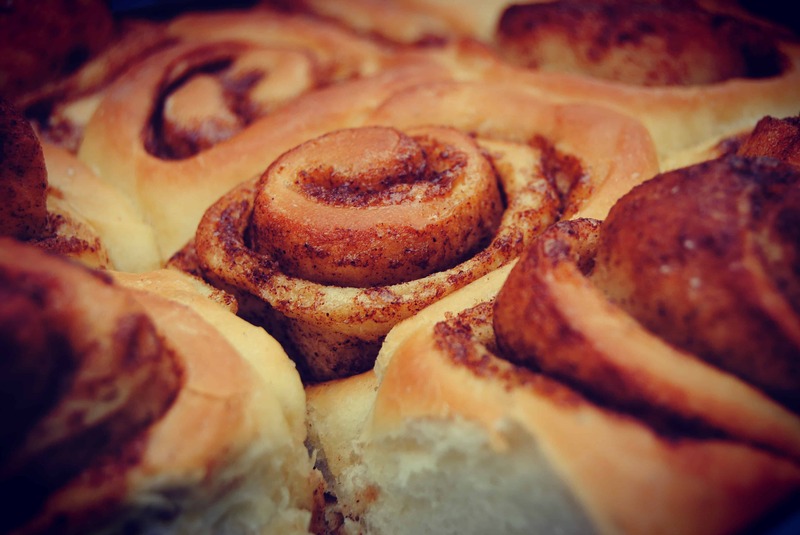 See recipe to the cinnamon buns here. How does your Indian heritage impact your kitchen? Does it? Vandana: Absolutely. I remember fondly sitting on the counter and helping my mom in the kitchen. Watching her use lots of spices was something that was very common for me. 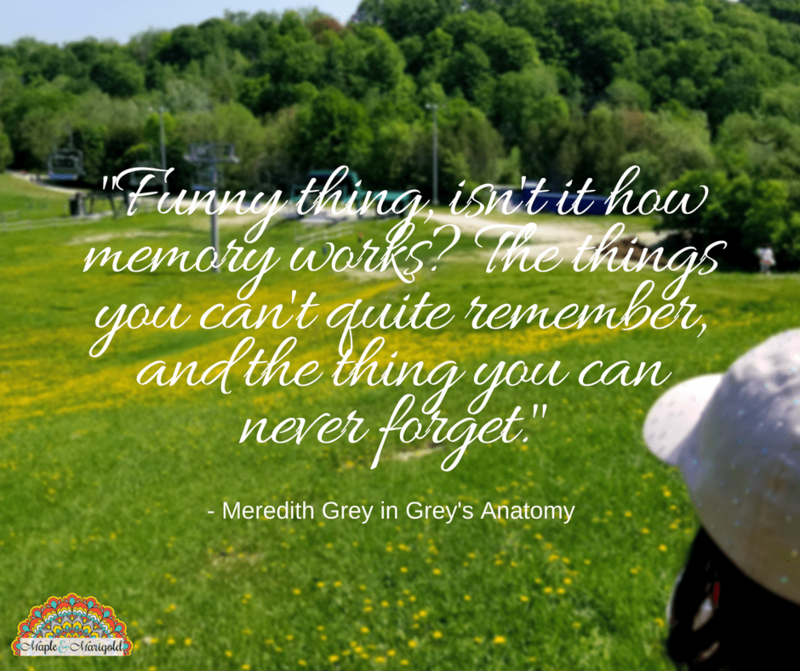 It’s funny how your memories work. There are times that I can remember the taste, texture and flavour of something that I was eating and loved, but can’t remember anything else around what was happening that day. Food is so powerful. It fuels us but it also is so much more than that. It is heritage, it’s love, and truly one of life’s joys. Family and following passions. My family is my foundation and my rock. Having a loving family is something that I make sure I keep as my top priority and it’s a matter of having the intention to make it so. When it comes to following passions, it’s important to understand your authentic self and really allow yourself to do the things that keep you balanced. For me, balance comes when I tap into my creative side. As busy as life gets, you have to know what keeps you motivated and interested. It keeps life interesting! Thank you to Vandana for sharing her food stories. To read more and follow her cooking, you can follow her on her blog VandanaBakes.com and on social media via @VandanaBakes on Instagram, Twitter and Facebook.